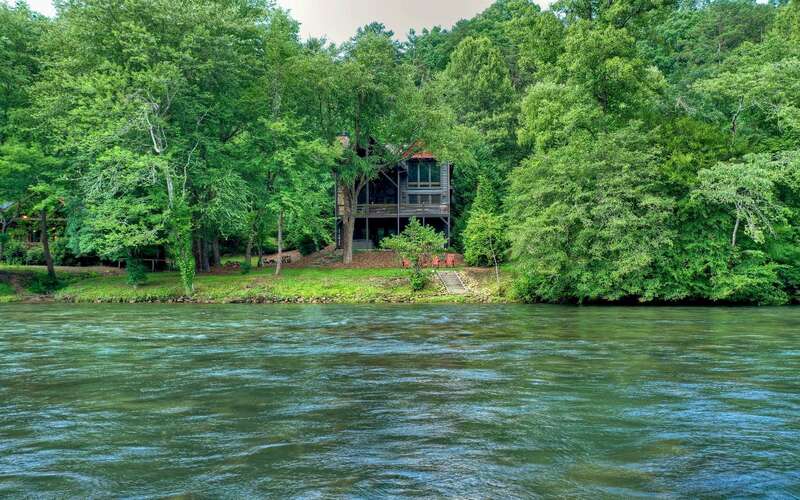 Gorgeous Keith Sumner on the mighty Toccoa River. 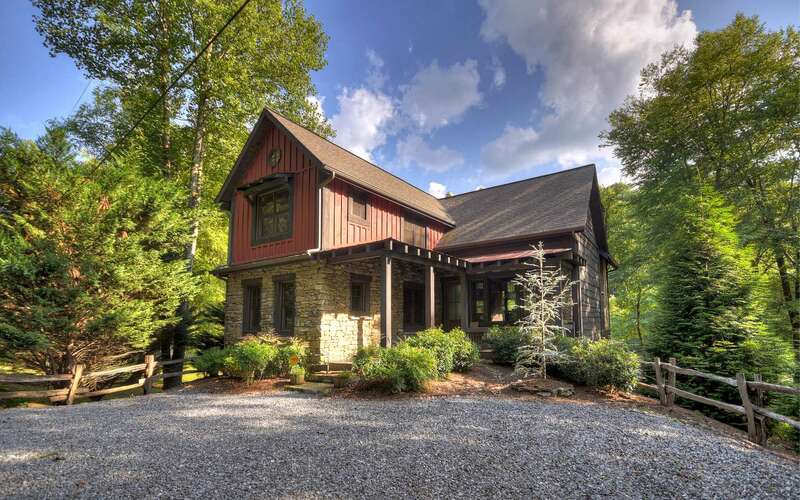 This lodge style cabin is situated on the widest part of the lower Toccoa River. 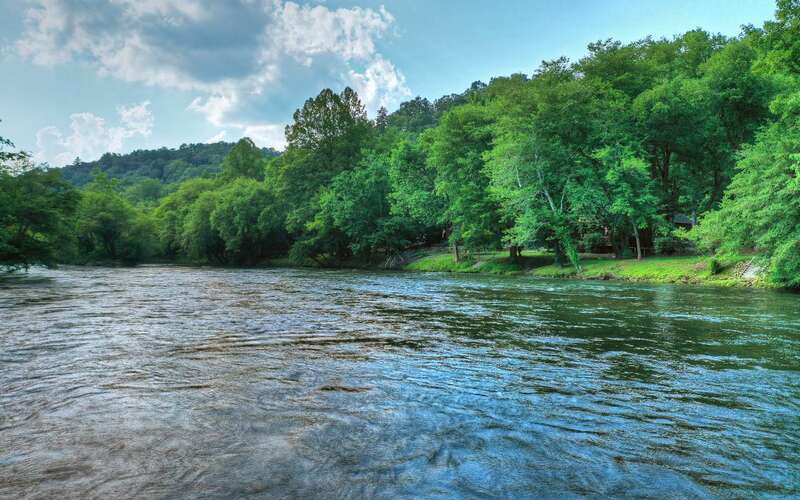 The tail waters of the Toccoa offer a perfect temperature for fish to thrive and many years for you to enjoy fly fishing. The interior is spacious with high ceilings and lots of glass and massive fireplaces/rockwork all in Sumners unique style. There is a master on the main as well as a master suite upstairs. The terrace level has a bar/entertainment area and 2 bedrooms. 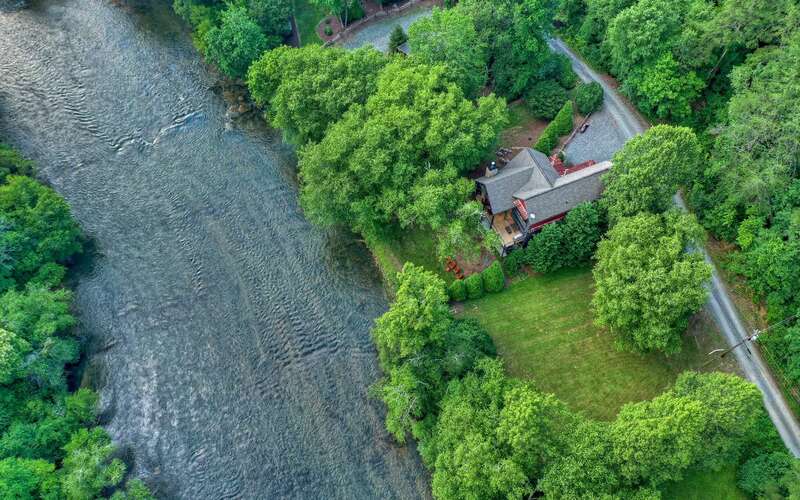 You can walk out and utilize the steps into the river and go fishing or you can tube or kayak and get out at Horseshoe Bend Park.